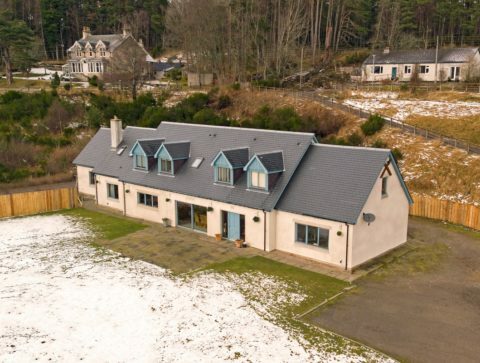 Alltnacriche is a beautifully designed large detached country lodge on the outskirts of Carrbridge very near the River Dulnain. 5 bedrooms: 3 doubles, 1 twin or double and 1 bunk room. Wood burning stove and luxurious outdoor hot tub.